The 2014 FIFA World Cup is finally here and numerous football fans all over the world are preparing to watch the World Cup live from start to finish with all 64 matches on iPhone and iPads. 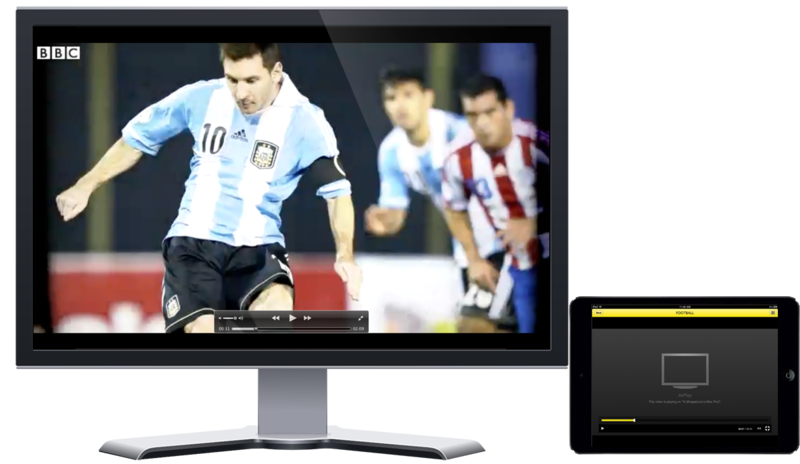 If you are the one who watch the World Cup live stream on an iPhone or iPad, we highly recommend you the AirPlay Receiver for Mac and Windows - stream the matches from iPhone/iPad to the bigger Mac or Windows PC monitor via AirPlay, so anywhere you have a Mac or PC connected to the same Wi-Fi network with your iOS devices, you can put aside your iPhone/iPad and enjoy the exciting matches on the bigger screen. Stream videos from iPhone/iPad to Mac/PC monitor is extremely easy with X-Mirage. First, download and install X-Mirage in your computer, run it and you will see your computer in the available AirPlay receiver list, tap your computer name and them play the video, you will see it’s streamed to the computer. Turn on Mirroring if the app is not AirPlay enabled, then you will see the iPhone/iPad screen on the computer monitor. Enjoy the World Cup matches on the bigger screen and cheer on your teams.